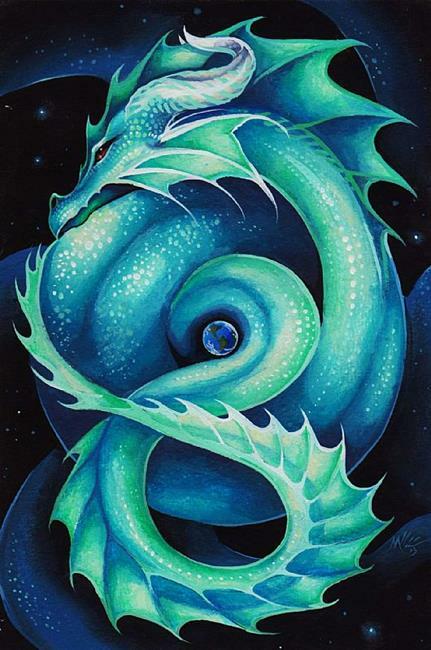 According to Norse mythology, The Midgard Serpent was a son of Loki, and grew so large he surrounded the earth and grasp his own tail. This is an original painting on cold press watercolor paper. Color and detail are much nicer in person!